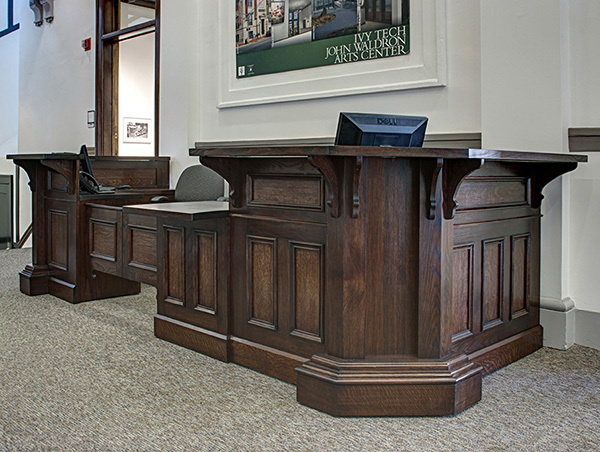 Ivy Tech John Waldron Arts Center Reception Desk - NR HILLER DESIGN, INC. 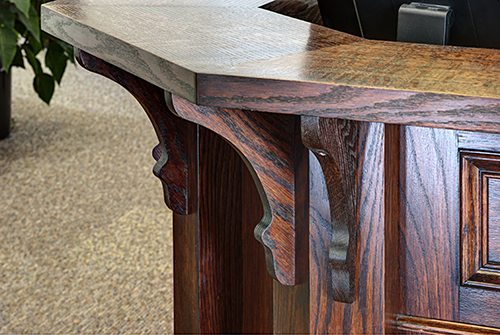 Custom designed for the Ivy Tech John Waldron Arts Center in Bloomington, Indiana, this desk is built throughout from locally grown and salvaged lumber. 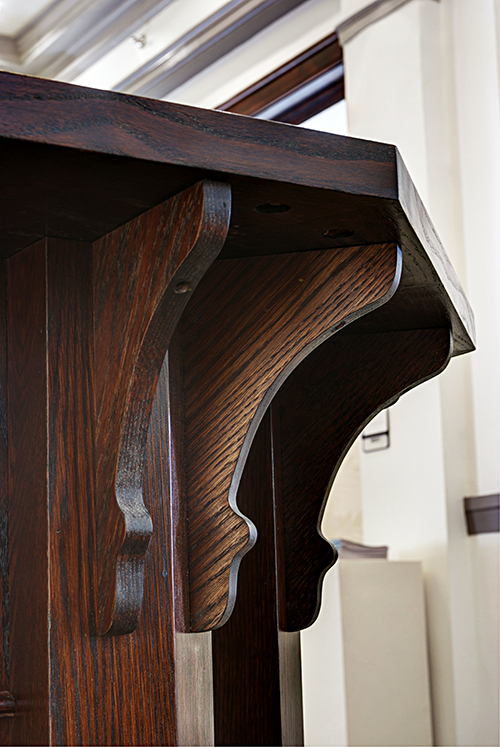 The counters are fabricated of quartersawn red oak obtained through the City of Bloomington’s urban lumber recovery program; the oak was salvaged from a tornado-felled tree that grew in Seminary Park, original site of Indiana University. Panels are made from discarded veneer backer boards. Drawers (not visible here) are constructed from locally grown maple. 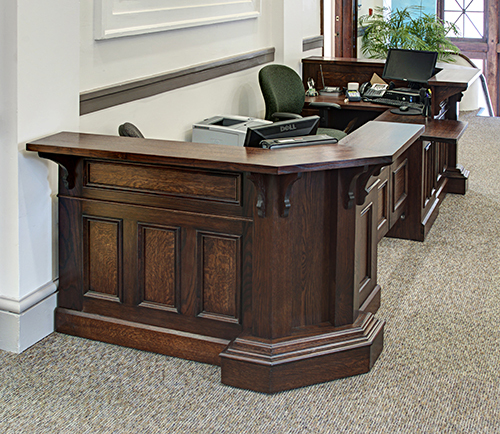 Read about the project in my trio of posts at New Desk for an Old Building. See WTIU’s Weekly Special program on the desk.